Concerns over poor internet and phone connectivity are the growing pains of the so-called Information Age. Network culture now permeates offline life. We have higher-than-ever expectations about being available and being up-to-date. Poor communication network is hindering the operation and development of business, and it does not appear to be an issue that will be resolved soon. Fast-paced expansion coupled with inadequate infrastructure and overloaded network is leading to many callers being cut off mid-way. Mobile users have to rush from one room to another or drive around neighborhoods to find better signals (and better voice quality).Getting randomly cut off in the middle of an important conservation is a frequent annoyance these days. Ladakh gets ‘crowded’ with thousands of new mobile users in the summer season, say BSNL and Airtel officials. The BSNL users during the summer season go up to 1.4 lakh, whereas in winter it falls to 90,000 users. On the other hand, there are around 65-70 thousand Airtel users in the summer season, which drops down to 40-45 thousand winter. Telecom operators, however, have been unable to adequately ramp up infrastructure and technology to keep pace. Despite the apparent ubiquity of telecom towers in many places, poor voice quality and abrupt termination of calls have become a real headache in Ladakh. The phenomenon could be a setback for the Prime Minister’s much-publicised Digital India programme which aims at bringing connectivity – as well as financial inclusion, access to government services etc – to thousands of Indian villages. I wonder, isn't Ladakh a part of India? Is digital India a fantasy for Ladakh? Is this the 'Ache Din' we are experiencing? The hollowness of Digital India cannot ring louder for those who will access the Internet but do not have basic facilities as human beings. 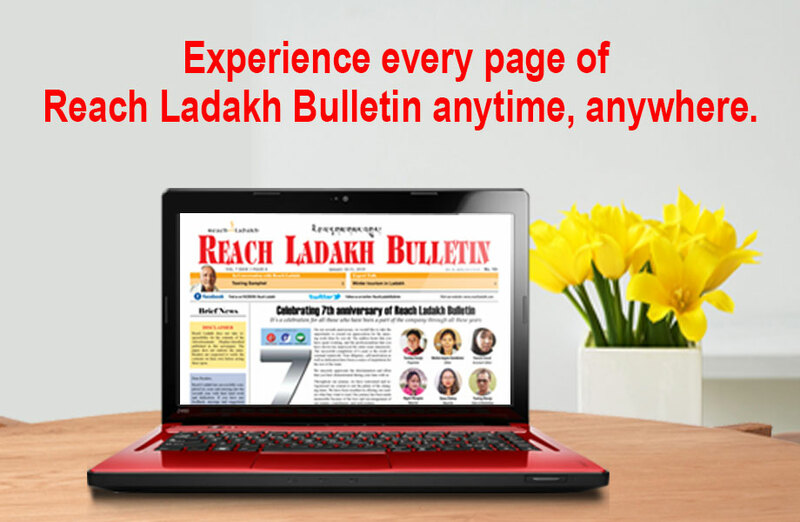 More than half of Ladakh population lives in rural areas where there is no phone connectivity, leave alone Internet. And these lives are supposedly going to be transformed by the magic wand of broadband access. In a region where 70% of its people are still dependent on agriculture, increasing mobile and internet connectivity sounds like a call for an illusory world! The Laptop: Yes, you are true as people are fully dependent on us. Mobile: Why we are not useful to them? Laptop: I don't know? As the proverb goes, even if we know, we should ask others \experts about it. We should ask uncle about it. Listen, children, I am already confused. My work has not been done till now and I am shocked to see the huge bill. Sometimes I feel we are not fortunate enough to avail of the benefits of communication.